At Freedom Life Kids, we are passionate about teaching children the gospel of Jesus. We offer safe, fun ministry to kids of all ages. Our volunteers at Freedom Life Kids go through a rigorous background check and are trained to serve your kids professionally and lovingly. 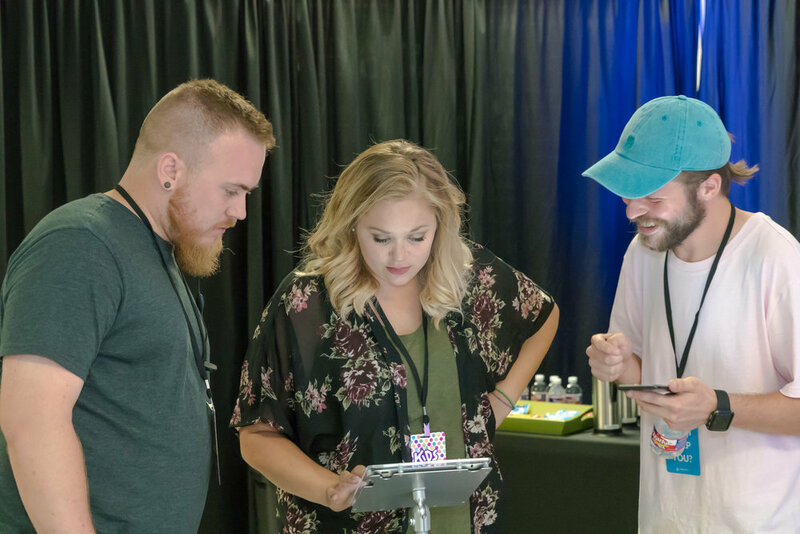 Your children will enter Freedom Life Kids through our safe and secure Check-In Station and will be released to you after the service through our Check-Out Station. All kids wear a unique label assigned to them and to you. Your kids' safety is our top priority! Jesus said, "Permit the children to come to me, for the kingdom of heaven is for them." (Matthew 19:14) Kids learn by having fun, and learning about Jesus is no exception. Our goal at Freedom Life Kids is make the gospel memorable and draw your children into a fun, experience of the presence of God. The goal of everything we do, keeping kids safe and secure and providing a fun, exciting experience, is ultimately about leading our kids to become fully devoted followers of Jesus. Every Sunday, we share a Bible story told in a relatable way and give your children an opportunity to pray a prayer of faith in Jesus. We serve each week to make Jesus real to kids. Nothing matters more! Nursery & Toddlers offers safe, professional childcare and a simple story about Jesus for kids ages Birth-3years. Each Sunday, kids aged from K-4 through 4th Grade share a large-group worship experience and then age-appropriate small groups. 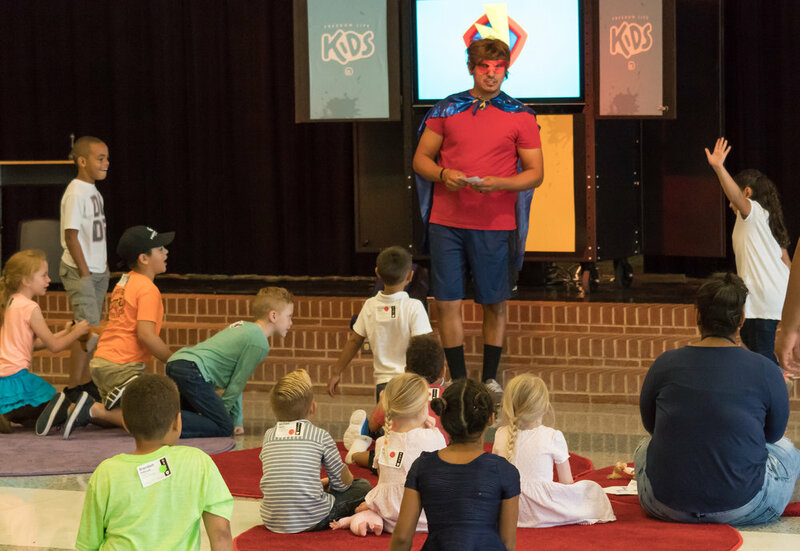 Games, activities and Bible stories make Freedom Life Kids memorable and fun every Sunday. For your convenience, pre-registration is available for Freedom Life Kids! Fill out the form below and we will be in touch. Thank you for the honor of serving your family!